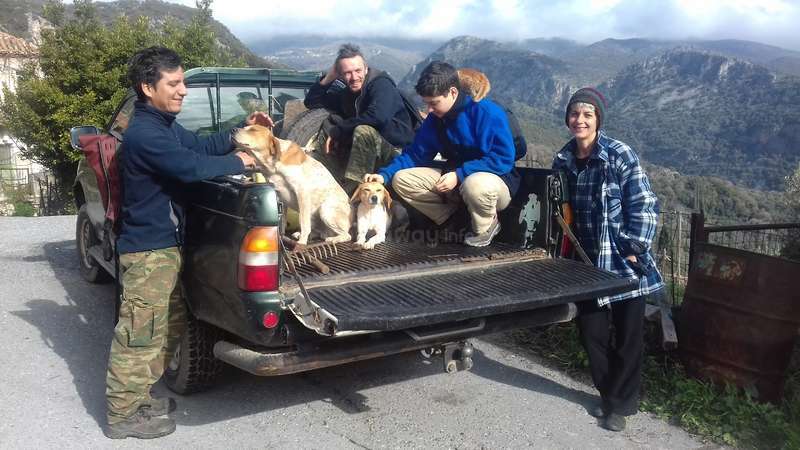 We are an organic farm in Laconia (Lakonia) practicing traditional farming on the mountain Taygetus. The farmland is 20 acres of olive trees including various fruit trees, citrus, herbs and plane trees that shade a natural spring. Volunteers will be actively involved in day to day tasks as ploughing, sowing, making compost, gardening, planting, cutting wood, weeding, harvesting, fencing a willingness to assist with the physical duties on a farm, is all that is required. The work is in beautiful locations and we ask that you wear long pants and closed in shoes. The time of year will determine on the work we do. In winter, we work in the daytime and sleep earlier. So flexibility is a good thing :) the work is very rewarding and you can learn much about our history if you wish to do so. The people are friendly and welcoming, but please note many speak only a little English. Meals are provided, however the time we eat is not set. We have many visitors and relatives so the meals are fun and lively if you are ok with learning some Greek . We are happy to provide you food from the village to cook yourself, if you would prefer to cook at set times. 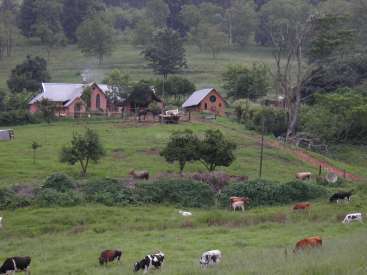 If you are interested in alternative ways of living, are passionate about sustainable agriculture, if you are keen on working for a time in exchange for food and accommodation and enjoy taking long walks in a pristine natural environment, please communicate as we would love to meet you! Experience the way of life in a small village in Mount Taygetos and the traditional way of pruning, weeding and harvesting an olive grove. Separate house above our family house with one bedroom,kitchen,bathroom and a small living room. You can cook or eat with the family. Experience the traditional greek kitchen. Most of our products are organic and/or local. Selegoudi is a small village on the foothills on mount Taygetos and 25 km from Gythion Laconia. The main cultivation is olive trees, fig trees, vineyards and livestock farming. The area is ideal for hiking, mountain biking and swimming in the river Sminos that runs next to our olive grove. I do smoke, and it can be inside downstairs. However, your own apartment upstairs is smoke free. Simon came at a time when I was worn out from months of hard work and he boosted me to get back into the groves. He truly was something like a blessing to me, my mom, and the animals, especially the animals. Lily was sad to see him go, as were all of us. 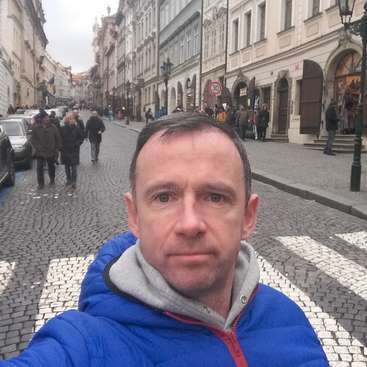 Simon is a kind and humble young man, and we got a lot of work done that never would've gotten… read more done with simply because he took the initiative and worked responsibly and independently. We all enjoyed having Simon in our home and working with us in the groves and his presence will be greatly missed. Simon, you are ALWAYS welcome in Selegoudi. Amazing place ! Amazing people ! My stay here was my first experience with workaway. 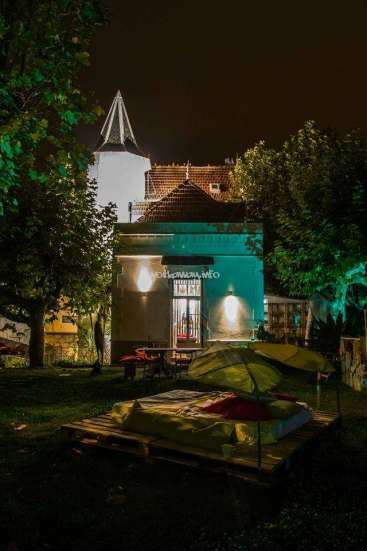 I am so glad that i chose this place and grateful for Filia choosing me ! Immediatly I felt at home ! Not only in Filia's place but also in the tiny yet charming village of as well Selegoudi. The place for those who love nature, not to mention the fabulous… read more giants olive trees ! I stayed a little more 1 month there, during the olive harvest. Harvesting olives is hard work, but Filia and her sister know with love how to share their knowledge and experience, as well as encouraging us all in a friendly and patient way. Filia's mother, Galatia, cooks for all some delicious dishes, and she takes care of every one like as if we were her children. I learned so much about olive trees of course, but also about some differents plants like greek mountain tea... and the greek's story and the mythology. Because Filia is a very great storyteller, and she knows to be very funny. Likewise, with Helen, Filia's sister, with whom i had wonderful exchanges. There it's a perfect place and a perfect host for each traveller who is interresting by the humans, animals, lands, and authentics relationships. One day, I hope to come back a new time ! Megàli efcharistò apò tin kardià ! Grand merci du coeur ! She is a calm,caring,courageous and positive person fully motivated for work. 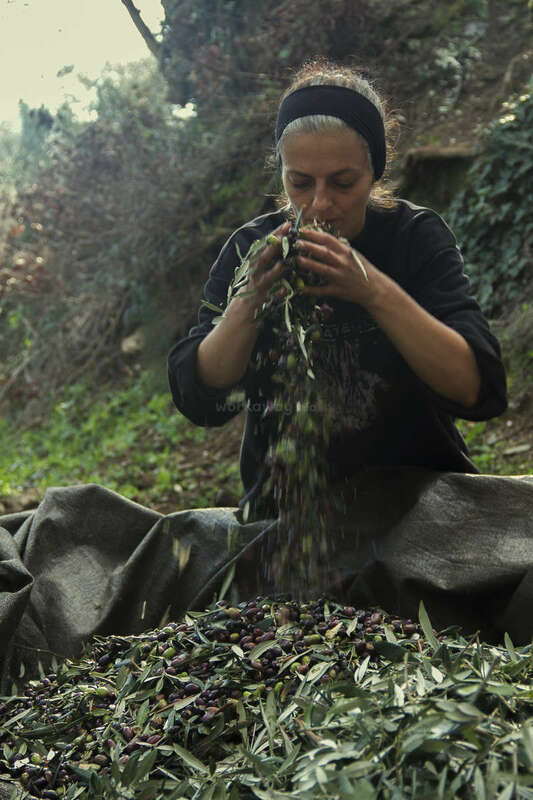 With her knowledge of alternative therapeutic medicine combined with her love for healthy cooking,she made sure that the whole team remained healthy through the olive harvest. She took the initiative to maintain the kitchen tidy and clean,even after a heavy working day… read more at the fields,which was of a great assistance to the whole team. Even on rainy days,she took the dogs out on long-distance walks and was compassionate and caring with our dogs as well as kitties. We will miss her dearly and I hope our paths meet again. The work was very interesting, in the afternoon we went to the olive groves with filio and took care of the trees (organic!). She told us a lot about the groves and how to foster them, and working there in the secluded spots near the river till the sun slowly went down was just awesome. One day we even “rescued” a donkey, and ended up being chased, oh how we laughed. The mornings were to us, we could walk around the village, chill on the terrace (perfekt for early morning yoga!) and just enjoy the pure energy and mood of real Greece. Filio even took us on day trips through the impressive Mani Mountains and to Gytheio. We enjoyed our stay so very much, we dearly love filio and her friends and family and we are already thinking about visiting selegoudi again as soon as possible. Martin, your help and presence in Selegoudi warmed our hearts! 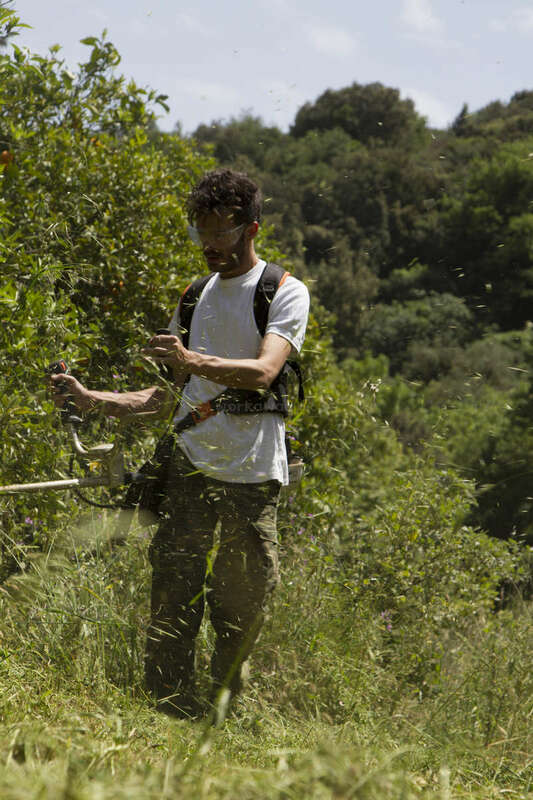 Your hands-on involvement in clearing the olive groves was invaluable and we hope you too enjoyed the experience. When you departed, your presence and energy were greatly missed by everyone (including the animals) and we will always cherish your kind and noble spirit! Know you are… read more always welcome to our village! The first thing, that really impressed me about Filio, Spiro, Galathia and Helén, was how welcome they were able to make a Danish boy feel, right from the moment I was picked up from the bus station. I felt a respect and trust, like had we been friends for a long time. Then quickly, I felt at home in the little mountain village of Selegoudi. I… read more enjoyed it a lot, when they shared with me their knowledge about olive cultivation, and they were interested in my thoughts about it too, even though I had zero experience with olives. They were easy to work with, and Filio made sure we had breaks, so it was all very humane. After a long day in the grove, they have a very nice home we could return to, and Filios mother Galathia, always had a tasty dinner ready for us. It was super fun meeting extended family and other villagers too, which were all just as nice and welcoming. Filio is the perfect host. She’s kind, fun loving, very patient and interested in people. She clearly cared about my experience there being a nice one. I wouldn’t change a thing, and I hope to return soon. They are good people. Rasmus is a very intelligent ,polite and respectful person, with an unquenchable thirst for knowledge and therefore,we had very interesting discussions on various topics. He had experience on other workaway farms around the world,so he shared his previous experience and knowledge.He was always eager to help us find alternative methods to treat the… read more olive trees from funghi and insects. Rasmus also wished to be taught the traditional methods of cultivation and treatment of the flora. I consider any farmer working with Rasmus extremely lucky to cooperate with him,because he can provide anyone with further development and progress in his ways and techniques and take any project one step ahead.He is a worker that can always position himself equally to a professional farmer. The olive harvest is a very difficult task.Although he did not acquire the needed experience in the particular field,he immediately grasped the rhythm,skills,abilities and techniques to cooperate harmonically in all the different positions of the team. Even after a full working day,his physical appearance did not differ since the beginning of the workday and surprisingly,he did not show any signs of fatigue,which gave encouragement to the rest of the team.Rasmus,you are a born leader!!! So,your comeback is of great importance to us in order to take us one step forward!!! David is a polite and respectful young man with a permanent smile and an inner light that brought serenity to everyone surrounding him. He is a multi-tasked and creative person,who always found something to create on rainy days i.e. he made a backgammon from garbage and a small cupboard for the towels in the bathroom out of old wood,which showed… read more that he is multi-talented. On rainy days,he willingly took out the dogs for their walk and brought the wood in for the fireplace,therefore,really assisting my mother. His physical strength,fitness and stamina combined with his cooperation in teamwork, are the traits that are demanded for an olive-harvest worker.That's why the team gave him the nickname 'Master of lanara' which is a tool needed for picking the olives. Thus,the combination of all these characteristics was very surprising for a 19 year old volunteer who did not have any previous experience. David,we thank you for your support!!! !We will miss you and our home will always be open for you!!!! Filia, her mother and all of Selegoudi are the best things that can happen to a traveller's life. I felt very at ease with Filia the first minute I saw her, she is a strong woman with a million stories to tell. She is so open minded and caring for every life, including animals. My main task was taking care of the 3 beautiful dogs she has, walking… read more with them and feeding them. I never had a dog before and I fell in love with these crazy and loving ones. I also help sorting pebbles for her mosaics, chesnut and wallnut haversting and help with housework. Although Filia had not much things for me to do because I was there during a resting time for her, she was always making sure I was okay, feeling home. All she wants is to help travellers be in places where they feel safe and where they can enjoy the magnificent landscape of the mountain. I felt like she gave me so much, I am more than greatful! 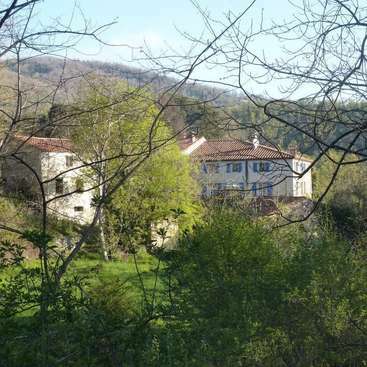 Thank u Filia for everything, you are welcome in my houses in the countryside of France! Words can not describe the beauty of my experience in Selegoudi. Already I miss my village family and feel so lucky to have met the people I now call friends. Filio made sure we saw Mani, learnt about the history, the strength of the the people .swimming in this region was very special. Plus we had many great discussions! Kate was my first workaway and we are very glad! The work we do is is in a mountain olive grove and can be physically difficult and requires a level of strength, resilience and persistence. The work is often done by the men, however Kate proved very capable and up to the challenge. 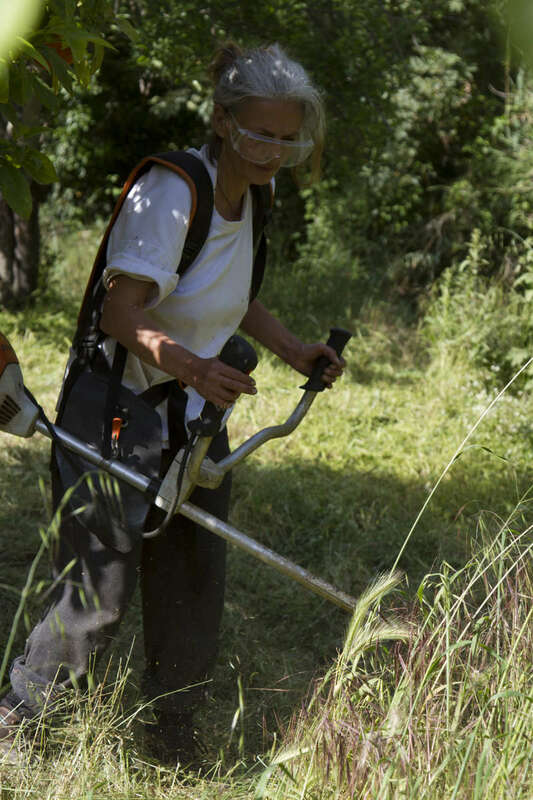 She did alot of strimming ('whipper snippering :-)'), cleaning and… read more clearing around the farm, lifting some rocks when needed and assisting in setting up an irrigation system. We were very happy with the work she did. Kate is a kind, mature and smart girl with a great sense of humour; making us all laugh! We are a small remote village and Kate brought happiness, laughter and joy to the village. She made a big effort to get to know the villagers and helped with their english and learnt a little Greek. We shared many great conversations with a similiar approach and view on life. She shared stories of her own travels and was keen to learn about our customs and traditions. She has helped us start our workaway journey in a very positive way. Our village will miss her and we feel lucky. We do not want her to leave and wait for her to return again. 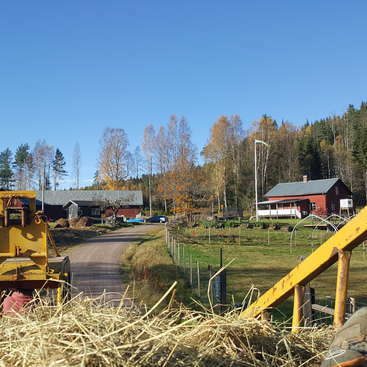 Experience rural life in Sweden.